Susan Calloway Knowles, is a licensed Psychotherapist and former practicing Family Law Attorney, Author, a Contributor to TheBlaze, Host of “Stand For Truth” and a political/cultural Blogger. Susan is also an avid investigative researcher having honed her skills in the legal profession. Susan’s website, ... See More SusanKnowles.com, covers articles she has written on an array of topics, including governmental interference of U.S. Constitutional rights, military and veterans’ issues, issues pertaining to California from the viewpoint of a conservative living in a Blue State, and other hot topics in the news. Reality Check with Susan Knowles for 4-16-19 - Dems want a 2 state solution for Israel. And, Pres. Trump? Reality Check with Susan Knowles for 4-15-19 - Chris Christie let Omar and AOC have it! 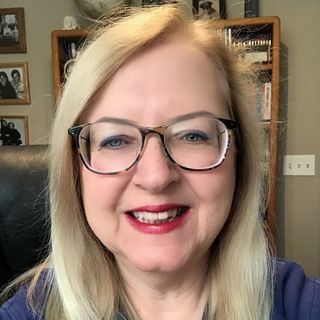 Reality Check with Susan Knowles for 4-12-19- Kim Foxx is doing it again! Reality Check with Susan Knowles on 4-11-19 - Lieu gets owned!